August is nearly half over, and for college students in Colorado, that means the start of a new semester. In Fort Collins, students at Colorado State University start classes on August 20th, and other schools across the state will start at the same time, or shortly thereafter. With the new semester so close, hopefully you’ve already found a place to live. If you haven’t and you need a moving company to help you relocate, then Billy Goat is here to lend a hand. With our expert team, you can get your stuff to your new apartment and settle in before classes start. If you’re renting a place for the semester, then there are a few things to keep in mind. 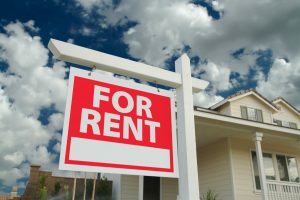 Most leases in Northern Colorado are for a year, but if you’re a college student who is renting a place with roommates, then your lease might be for a shorter period of time. You’re moving in sometime in August, and likely moving out in May or June, and you don’t want to keep paying for a place in which you’re no longer living once the school year ends. Before you sign a lease, take the time to read it and see how long you’re expected to live there. Apartments and homes for rent will require you to put down a security deposit before you move in. This may be in the form of first and last month’s rent, or it may be a separate fee, depending on the lease. This deposit is intended to protect the owner from having to pay for any damages that occur while you’re living there. Keep in mind that if something happens, you’re likely not to get your security deposit back once you move out. As a college student, paying for an apartment on your own can be tough, and that’s why you live with friends and/or roommates. By splitting the cost of rent, utilities, groceries, and more, you don’t have to empty your bank account every month. However, since you’re sharing the residence with other people, you’re also splitting the space into smaller sections. If you don’t have room for all of your stuff, then let us help you find the right storage solution for your belongings. Northern Colorado is a very popular place to live, and the real estate market in Fort Collins has seen quite the fluctuation over the past few years. Before you rent a house or apartment, speak with the owner to see if they have any intention of selling the property over the course of the semester. If they are, make sure there is language written into the lease that secures your tenancy for the length of the lease. The last thing you need is to have to move in December because the current owner sells the house while you’re living there. Renting is often the best option college students, since they only live in one place for a temporary amount of time. This is especially true for those who move out of state for school, and then come back home every summer. If you’re a student in Fort Collins and you need a moving company to transport your stuff to your new place, then give us a call today. We can find a date that works for you, and we’ll make sure that all of your belongings arrive in good condition. Fill out the form below, or call us at (970) 541-9121. We proudly serve all of Colorado!